Church member Brian Orr will speak this Saturday, January 26, about his experiences in Haiti since the earthquake of three years ago. The title of his talk is “Haiti: A Children’s Hospital Story.” The event, which will begin at 4 p.m., is free and open to the public. Dr. Orr first traveled to Haiti a few months after the 2010 earthquake to work in a clinic for a week. Though his work was much needed, what struck Brian most was witnessing the devastation of the country and the resilience of the Haitian people. Naturally, the news of Haiti’s devastation led to a phenomenal amount of support from many countries. When Brian went back to Haiti in 2012, he saw many examples of how Haiti was working to dig out. The encampments had decreased dramatically, and reconstruction was under way. However, the poverty was still striking. Haiti is not out of the woods from the earthquake. But the support from the international community is slowing down. Brian’s visit to St. Damien Children’s Hospital demonstrated one of the significant problems that Haiti still faces. The hospital had to dramatically expand its services after the earthquake. This expansion covers problems like cholera, which still strikes each rainy season. The hospital cannot cut back on needed services to thwart a new epidemic, which they developed after the quake. Yet funding sources for that expansion are drying up since the world has turned its eye towards other newer disasters, such as Hurricane Sandy. Brian has practiced in pediatrics for more than 30 years since graduating from Georgetown Medical in 1982. He has practiced in six countries, including Mexico, Honduras, the Dominican Republic, and Haiti. 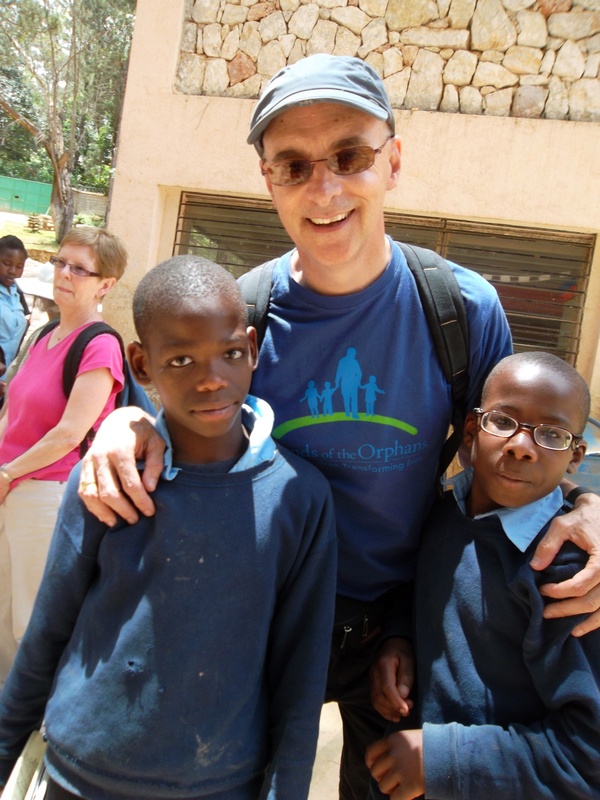 He has been involved with an orphanage in Honduras for the past 10 years and is chair of the board for Friends of the Orphans in the Mid-Atlantic/Northeast Region. The author of more than 100 articles on parenting, Brian has written three books: A Pediatrician’s Journal, The Everything Guide to Raising a One-Year-Old, and The Everything Guide to Raising a Two-Year-Old. His talk is sponsored by the Northshore UU Church’s Social Action Committee.